Posted by Admin in Konami, Metal Gear Solid Online, Playstation 3. 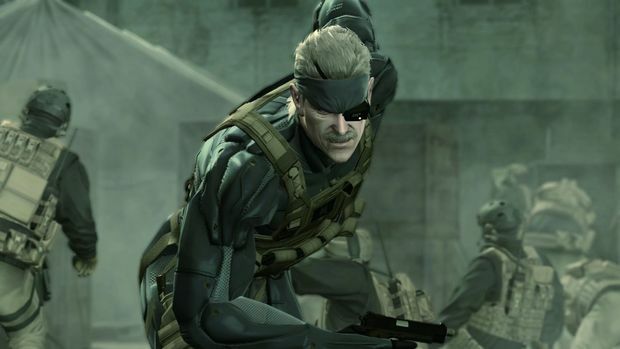 Still playing Metal Gear Online? If you are, you’ve probably played the original game and the first expansion “Gene” to death already. It might just be about time for a new expansion; Konami seems to agree. According to these new magazine scans, MGO’s second expansion dubbed “Meme” will feature both Liquid Ocelot and Mei Ling as new prized characters. Then there are a handful of new maps: Silo Sunset, Forest Firefight and Winter Warehouse. It shouldn’t be too difficult to figure out what those maps will look like judging by their respective titles. Silo Sunset, however, seems to be set in an area with ruined buildings and not actually inside a massive silo. A price and date has not been specified, though we can’t imagine that a price would be any different from the previous Gene expansion. It looks like the earliest anyone would be getting their hands on the new expansion would be at Tokyo Game Show — where it will be open to the public. Posted by Admin in Konami, Metal Gear Solid Existence, Playstation 3. Always one to sniff out new trademarks, Siliconera points us in the direction of “Metal Gear Solid Existence.” It’s a name Konami filed in the Japanese Trademark database. We can’t say for sure what this title will be used for — is this some sort of new game altogether or is it the name of an MGS4 re-release a la Substance and Subsistence? It certainly seems to fit the shoe of the latter category. However, all we have to go with right now is a name; there’s not enough facts and evidence to say for sure. It might not ever be used. So for now, we’re filing this under ‘rumors.’ Perhaps with Tokyo Game Show just around the bend, we might hear of something official soon. Posted by Admin in Konami, PES Series, Playstation 3, Software. Pro Evolution Soccer 2009 will be released on October 17th for PlayStation 3, and comes complete with a fully-licensed UEFA Champions League mode, MCV can reveal. Konami has also fired a warning shot at rival EA, insisting that Pro Evolution Soccer is still far superior to the FIFA franchise. “It is all very well for EA to say that FIFA is making great strides, but general opinion suggests that they still have a long way to go before they can match the intuitive and absorbing gameplay of Pro Evolution Soccer,” said Konami’s PES team leader Jon Murphy. Konami has secured the Champions League licence for four years, which allows the firm to use all the elements and attributes of the popular competition within PES. The publisher has also signed agreements with Premier League clubs Liverpool and Manchester United, giving it permission to use the players, kits and logos from both teams in the title.